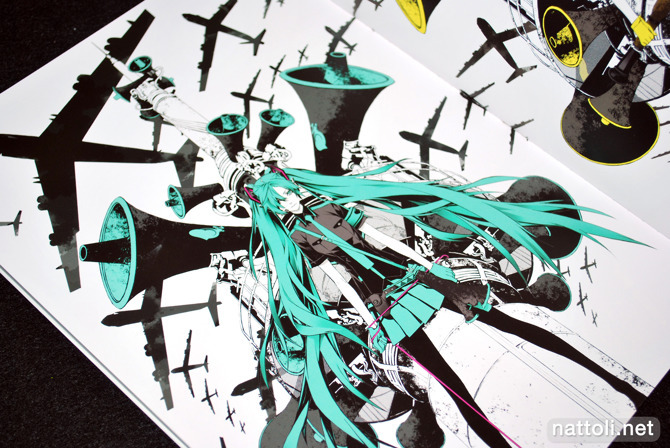 Okay, so really it's all a matter of taste and preference, but my favorite version of Hatsune Miku to come out thus far is the design by Miwa Shirow for the Supercell song Eager Love Revenge (恋は戦争). It's probably a combination of the song and the design that just seals the deal for me. In fact, Eager Love Revenge (恋は戦争) is so well liked, it was re-mixed a million times, and that's why this book exists. It was originally sold with the Eager Love Revenge re-mix CD during Comiket 76, and as a result, it was really expensive. So I waited a while, and lo and behold, it was eventually sold without the CD making it much more affordable. Because people apparently place a greater premium on CDs than on art work. 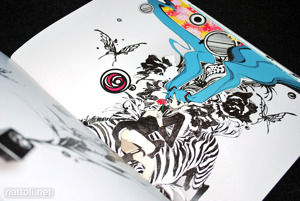 Several of these illustrations also appeared in the book bundled with a the CD for Supercell's self-titled album, which was reviewed on Pireze back in spring 2009. The school girl version of Hatsune Miku was done for the song That Second of Slow Motion (その一秒 スローモーション) and the red-toned version is for Liar's Parade (嘘つきのパレード). Most of the illustrations are done in the style of the art work for Eager Love Revenge (恋は戦争), like the one above. I have seen so many spin-off arts with this style of coloring for Hatsune Miku, and it was all started by Miwa Shirow. The one on the left has a softer, gentler face than the other Hatsune Mikus in this doujinshi. 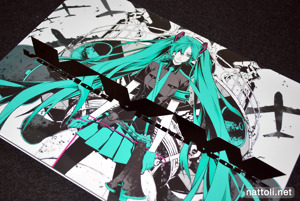 She appeared on the cover of EXIT TUNES PRESENTS Vocalostar feat.初音ミク. The other is for the song Saihate (サイハテ) which has inspired even more beautiful illustrations on the theme if you search Pixiv for the term. Some of the other Vocaloids; Kagamine Len and Rin, Gumi and Megurine Luka. And the beautiful art work of Kagamine Rin from MELTDOWN. I love the grown-up look best. 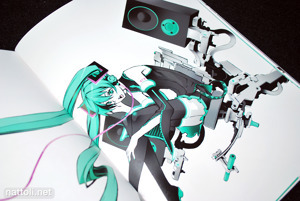 VVW Vocaloid Visual Works is A4 sized and 40-pages in total, of which 10-pages are in black and white. The majority of those monochrome pages are rough sketches, and the others are the inked line arts of the first two Eager Love Revenge (恋は戦争) art works that are in color at the front of this book. 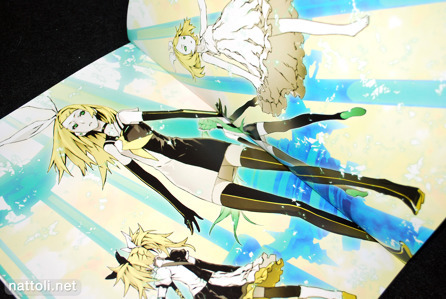 The art work on the last illustration above is featured on the postcard Miwa Shirow released with the Comiket 77 doujinshi, except on the postcard they're colored in and not cropped. I don't love Vocaloid, and I wouldn't buy a book full of the characters, but Miwa Shirow does do some interesting Vocaloid works. 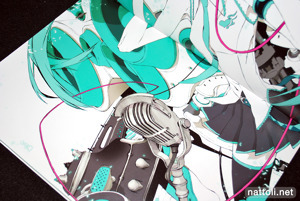 Hmmm, I guess there is more connection to Vocaloid art if you like the corresponding songs but I've never cared for any Vocaloid song and thus I don't have any special attraction to this art. seems interesting, but the teal monochrome and white background look doesn't do anything for me. Hehe, I personally LOVE this kind of art style. We're all different though! Hehe, yeah, even as I said it I knew everyone would have a different opinion on the art work :3 But seeing as it's not to a lot of your tastes, at least you get exposed to stuff you wouldn't normally look at! It's still the opposite for me, I get exposed to it even if it's not to my taste lol. Got a soft spot for anything BRS, thanks for pointing this out! 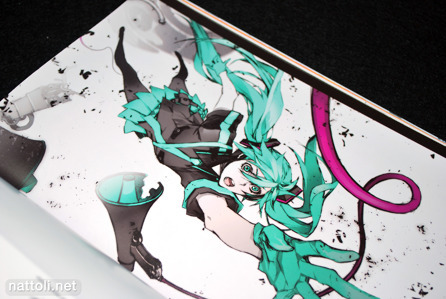 Does anyone know where to get this artbook? _ I'm an uber Vocaloid fan, and an even bigger fan of the art. I have a question: How come it may be easy to acquire Vocaloid art works at Comiket, but very little of them are exported? Did I look in the wrong websites? It's because doujinshi exist in a legal grey zone. Even in the case of Vocaloid, these artists are drawing designs and concepts that are already owned by a company (Crypton Media). Fair enough to have it at conventions, and doujin shops where the fan culture already understands the borrowed relationship. Ship it abroad without licensing rights, and then tell everyone hey, it's okay to use these characters to make money for yourself and that's a whole other situation. Crypton could even lose their right to protect their brand if they don't constantly act to defend infringement overseas. 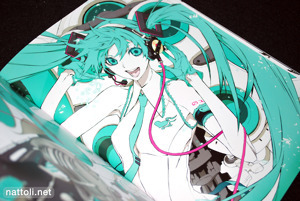 Where can i get all of these Miwa's Artbook?? Can i buy it via paypal?? Where can i order it?? I'll have to agree that this is the more impressive vocaloid art out there . I got hold of this the other day, with the music CD. 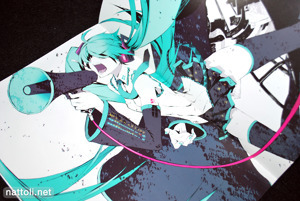 Awesome artwork, some of the better Vocaloid art along with Black Rock Shooter imo. Lots of mixed opinions on this one! I wish I'd gotten the CD, but when I was looking the prices were just $$$ ._.